Well it’s a relief to know where I am going next year. I got a letter from the Rector of Silverstream – Fr. Bliss. He asked me what units I had to date, any wishes I had for future university studies, & any preferences I had for teaching subjects. I wrote back & told him, but I didn’t have any preferences for teaching subjects – but will probably get something along the English-Music line. We leave here on Nov. 17th for 2 weeks at Wellington Hospital. On Dec. 3rd I go down to Christchurch with Paul Donoghue to work in St. Mary’s Parish, Manchester St. until Christmas. Then I will be on holiday until the opening of the school year. I hope to get home for Xmas day – probably on the 23rd or 24th, but it depends on the Parish Priest down there. Tony O’Connor	- St. Mary of the Angels, Wlgtn. Rob Devlin	- Mt. Albert Parish, Auckland. 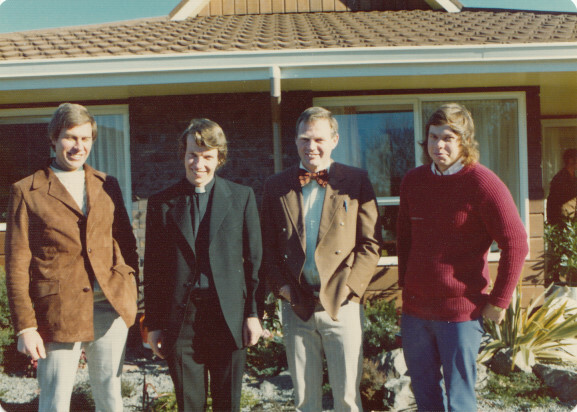 John Owens - St. Bede’s College, Chch. Paul Donoghue	- St. Bede’s College, Chch. 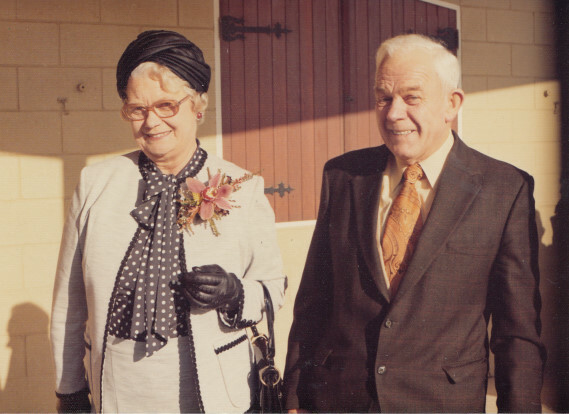 Michael Pervan	- Whangarei Parish. Barry Leech	- Sacred Heart Parish, Hastings. Michael Unverricht who was also ordained this year, but studied in Australia, is going to Timaru Parish. So you can see there are a lot going into parishes; but I am pleased about going into a school. Pat Devlin is going to Pompallier College, Whangarei. Yesterday I rang Thora & Skin, & I will probably go out to see them next week. I think I’ve already told you that we’ve got exams this Thursday & Friday & then we’re finished. From Sunday to Wednesday the Young Fathers go out to Waimarama, & on Wednesday Bishop Sneddon is coming up to ordain the new lot of Deacons. Then I have to pack 8 years of accumulated goods. I have a big tea chest. I think I might freight it home because if I send it to Silverstream too early it could get lost in the end of year college rush. It would be easy enough to get it from home to Silverstream later. I will let you know anyway. Well I think that that’s all the news. These last 2 weeks will be very rushed. Time’s flying! I hope to write one more letter home from here, but just in case, I’d better say that this could be my last letter from the Mount!